BeakerX is available via conda, pip, and docker. Or try it live online with Binder. You can install with conda with just: conda install -c conda-forge ipywidgets beakerx See the documentation for more details, including using pip. 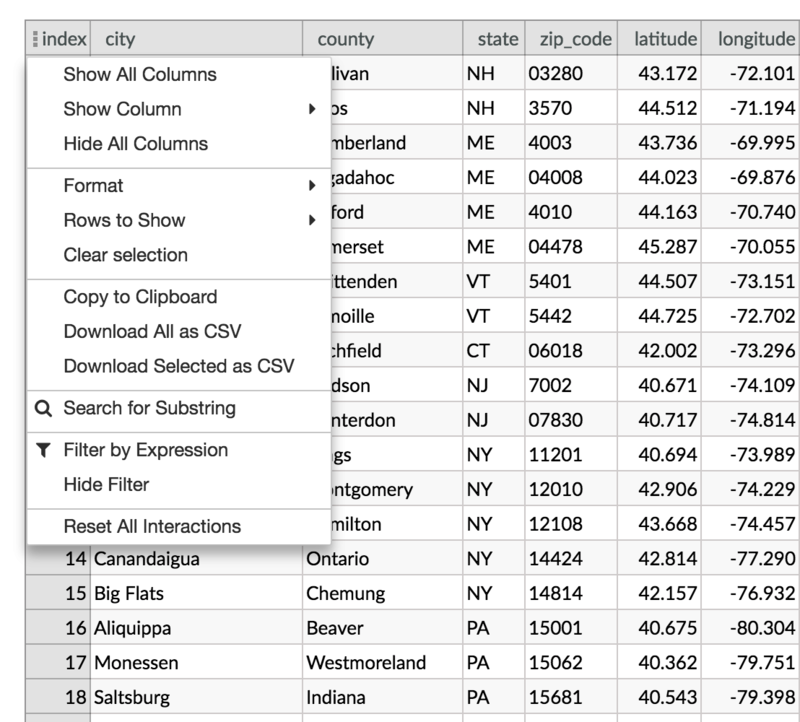 BeakerX’s table widget automatically recognizes pandas dataframes and allows you to search, sort, drag, filter, format, select, graph, hide, pin, and export to CSV or clipboard. This makes connecting to spreadsheets quick and easy. 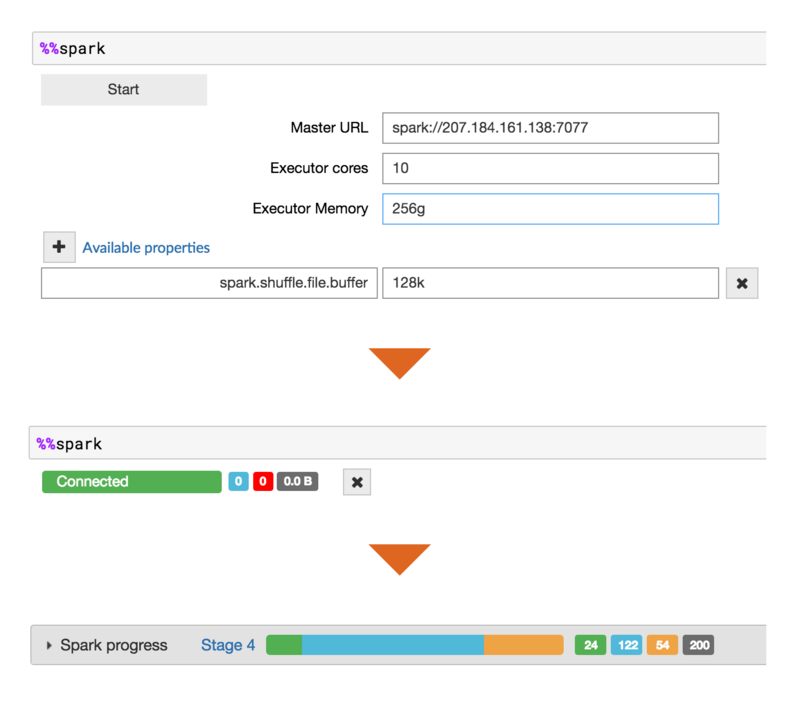 BeakerX has a Spark magic with GUIs for configuration, status, progress, and interrupt of Spark jobs. You can either use the GUI or create your own SparkSession with code. The GUI has links to documentation and the standard Spark web UI. With a single click, convert the current notebook’s contents including any interactive widgets to a Github gist. A new tab opens nbviewer on it, including the active widgets. This is a link you can send anyone. How is BeakerX related to Beaker Notebook? BeakerX is the successor to Beaker Notebook. After seeing the demo of Jupyter Lab at SciPy 2016 we realized that Jupyter had become extensible enough that much of what made Beaker special could be done in the Jupyter ecosystem. 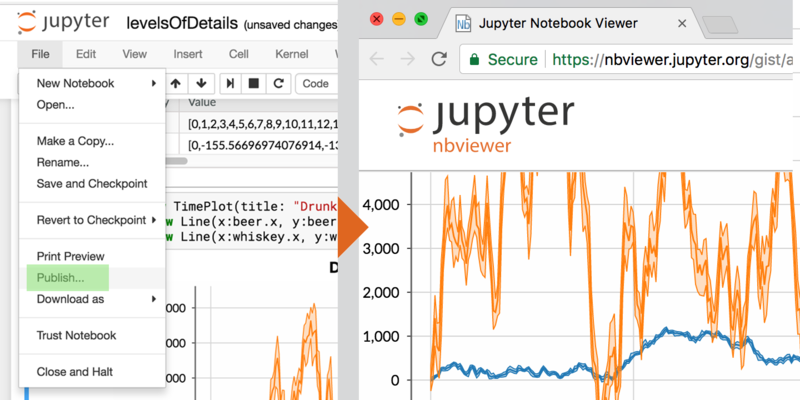 The result of joining forces with Jupyter is a more powerful tool for our users, and a larger community of developers and users that continues to grow. Jupyter users benefit by getting access to our work as well. And we benefit by leveraging shared infrastructure so we can focus on adding value. It has taken about a year to port Beaker’s key features to become extensions to Jupyter, and we are very excited to finish this transition and release the results with a new name “BeakerX” that represents both our history and how large a change this is. What about classic Beaker’s polyglot and autotranslation features? Beaker Notebook (before BeakerX) is known for supporting polyglot programming, and for autotranslating data between languages. These features have been the most difficult to fit into Jupyter. BeakerX has polyglot magics to allow running multiple languages in the same notebook, and it supports bidirectional autotranslation as well, however its implementation is not yet as complete as the original. Can I install BeakerX with pip instead of conda? Yes, see the instructions. Our documentation focuses on conda for simplicity. Can I use BeakerX on win32? Win32 is not supported because OpenJDK on Conda Forge doesn’t support it. Win64 is recommended. But if you install a JDK on your own, it should work. Can I be informed of new releases? Yes, please sign up on our email list or follow us on Twitter. Who is responsible for BeakerX? 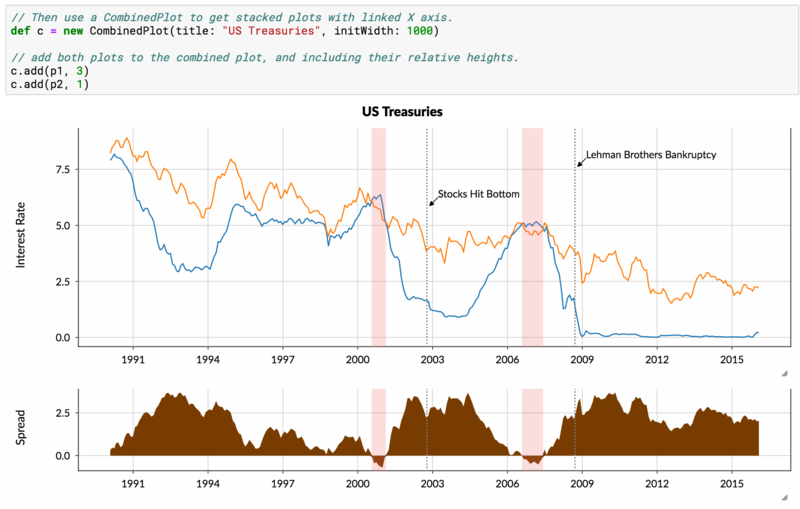 It is developed by Two Sigma Open Source. Yes we are hiring. Most of the documentation consists of notebooks that show BeakerX’s kernels and widgets in action. Here is a cheatsheet for a quick overview of BeakerX functionalities. We recommend conda to install Jupyter and BeakerX, and to manage your Python environments. BeakerX works with Python 3.4 and above. Conda forge hosts the lastest version. You can try it as follows. Note that installing Lab extensions requires npm. and then use the “New” menu to create a notebook in the language of your choice. You can also install BeakerX with pip. Docker is the most reliable way get and run Jupyter and BeakerX since it’s completely self contained. We welcome developers to extend and improve BeakerX in ways that can benefit everyone. Please see the README and CONTRIBUTING files for more information. The primary mission of Two Sigma Open Source, LLC (“TSOS”), is to promote, manage and maintain open source software projects. TSOS is affiliated with Two Sigma Investments, LP, Two Sigma Advisers, LP and Two Sigma Securities, LLC, which (along with certain of their affiliates) engage in various investment advisory and broker-dealer activities. However, TSOS is not involved in the financial services businesses of these entities. Under no circumstances should any material on the site be used or considered as an offer to sell or a solicitation of an offer to buy any security, including any interest in any investment fund sponsored or managed by any Two Sigma entity, or any investment advisory services offered by any Two Sigma entity. © 2018 TwoSigma Investments, LP.